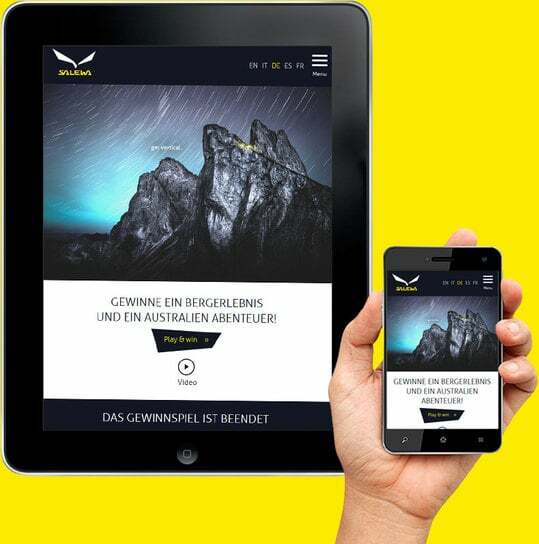 Our client, the mountain clothing and equipment manufacturer Salewa, has launched a contest, jointly with BMW and Tourism Australia, that we have implemented in the web. The name of the online contest is „Get vertical“. The contest consist of 2 parts and is handled via an own website. Among all competitors, next to Salewa products from the latest collection, there will be also other prizes given away like BMW test-drives, base camps in the Alps and 5 adventure travels to Australia.